We are thankful for all the blessings of 2015, and praise God for his goodness. Here’s a snapshot of the year. Walter III took a new job with Raymond James Financial Services and Steph continues to work at Cincinnati Children’s Hospital. 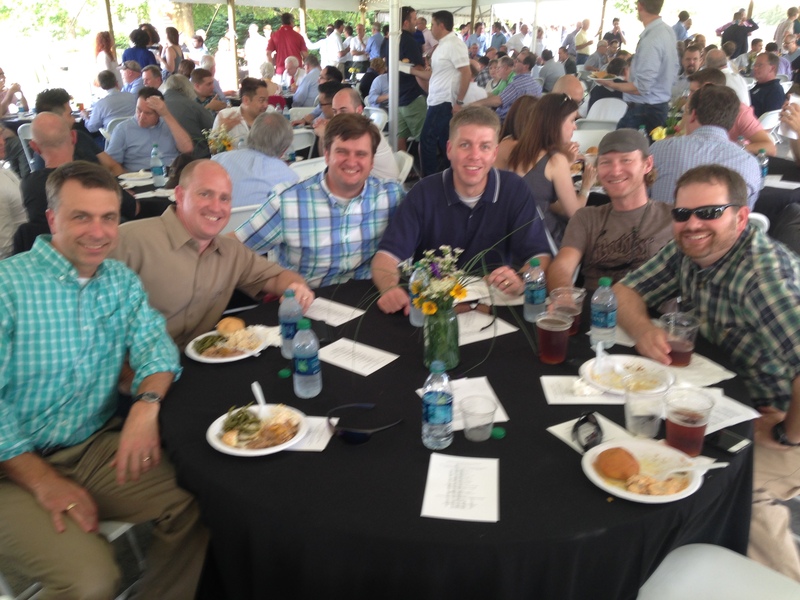 They attend New City Presbyterian, one of North Cincinnati’s church plants. Walter IV turns 2 on January 24. Stephen and Elisabeth will be moving to Atlanta in the spring of 2016, as Stephen has taken a new position within his company. They are beginning the process now of getting their house ready to sell. Garrett turned 4 on Dec. 6 and Peyton will be 2 on Jan. 22. Becky and I will be making more trips to Atlanta. I retired from my position as Sr. Pastor at North Cincinnati Community Church on Dec. 31 and began a new position with Redeemer City to City on Jan. 1. It was a year of many changes for Becky and me. We sold our house, rented an apartment, and began looking for a ranch-style home. It took us longer than we expected, but on Oct. 30, we closed on a one story with a basement, still in Mason, one exit farther north. I enjoy my new job, and have the privilege of traveling throughout Southern Europe and the U.S. , consulting with church planters and seeing where City to City can help encourage movements of the gospel in the great cities of the world. God did act to bring peace to the world – in the hearts of those who would trust in His Son. He will bring peace to the world, in His time. May we renew our love and trust in the Son of God this Christmas. After a busy spring, it’s been a fairly normal summer, with most of my time in Cincy and two trips to 3 U.S. cities. We are still in an apartment, and have not found a house yet. God is faithfully and patiently working with us, teaching us to be patient and to trust him with our housing needs. We tend to be impatient, after over a year of looking. But God has as plan, and we are praying for grace to be faithful and patient. Becky and I have had trips to our parents in Hurricane WV and Birmingham respectively. We’ve done a good bit of babysitting for our 3 grandchildren, Becky has driven her parents to visit relatives in southern Illinois and I’ve played a few rounds of golf. On August 2-9 I was in Los Angeles and San Francisco, learning about the leading churches, pastors, and church planting networks there. 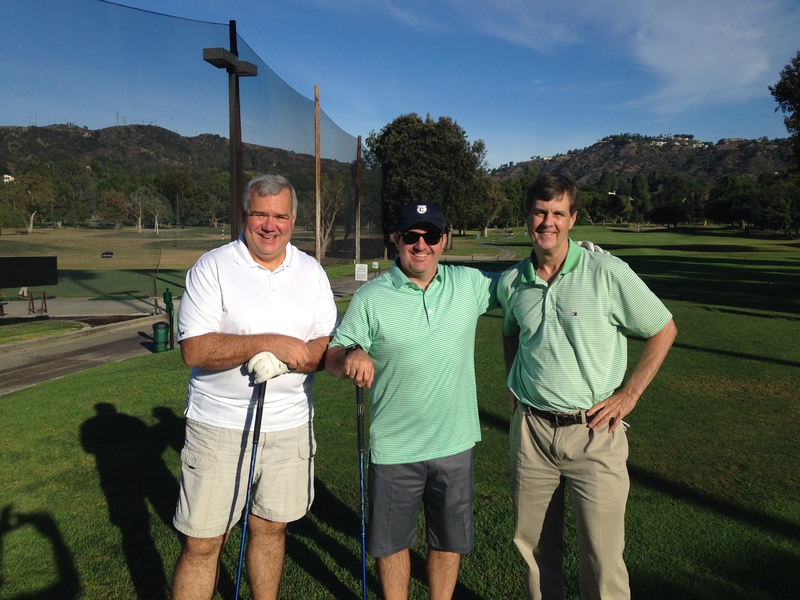 The first three days were in Los Angeles, the next three in the Bay Area. There is much activity in LA with several church planting networks active in a metro area of over 18 million people. We are hoping to get involved with several of these networks, to provide training and consulting for future church planting efforts and cooperation between networks to make an impact in the city for Christ. ​San Francisco has a metro population of over 8 million spread out over the entire San Francisco-Berkeley-San Jose area. We were encouraged with the number of churches and pastors interested in the work of City to City and the potential of partnering together to make an impact for the gospel in the Bay Area. In both cities we had the opportunity to have dinner with donors who are enthused about the work of City to City in their cities and beyond. On August 24-26 I visited Chicago, again seeking to get to know the city, the church scene, the church planting streams, and the leading pastors in the metro area. Chicago’s metro population is 9.5 million, with large Hispanic and African American segments. Over a three day period I met ​with 6 pastors from several denominations, of several ethnicities, representing several church planting networks. My trips to U.S. cities have largely been focused on listening and learning, seeking to discern where City to City can be most helpful in terms of catalyzing church planting and encouraging networks of churches to work together to make an impact in the city. As you know, we love cities, because God loves cities and the Bible has much to say about cities. Life on earth began in a garden, and it will end in a city, the New Jerusalem. Meanwhile cities are increasingly where people are gathering and seeking to make a life for themselves. 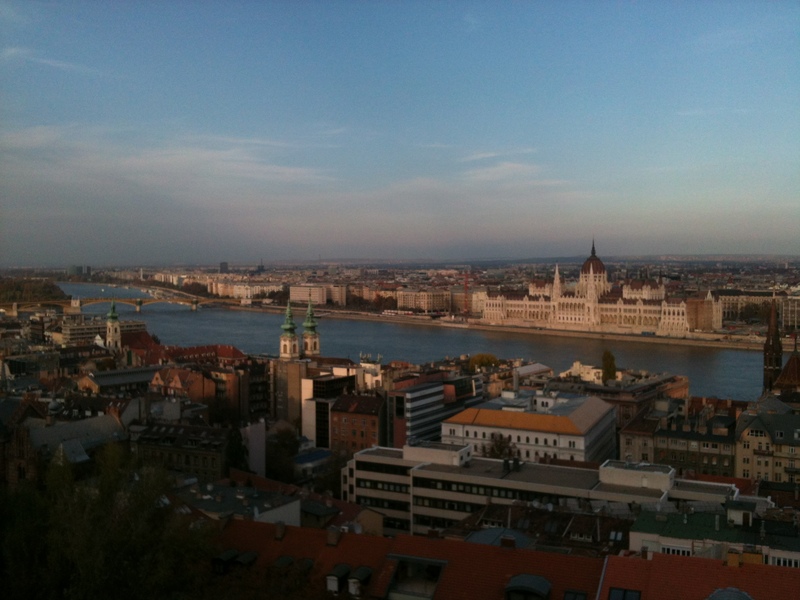 Our task is to take the gospel to and plant gospel-centered churches in the great cities of the world. The Fall will be busy, and I plan to be more active in posting than I have this summer. There are trips to New York, Dallas, Houston, and two trips to Europe coming up in October and November. In my previous two installments I reflected on the early years, which were years of foundation-laying and growth, and the middle years, which were years of conflict and struggle. It seems those middle years were necessary years for pruning, to prepare the ways for amazing fruit in the latter years of my time at North Cincinnati. These are the latter years, up until my retirement from the church in December 2014. We learned and did better in 2007-2009, planting three churches in greater Cincinnati (Josh Reitano, New City, Kevin Jameson, the Oaks, Lee Veazey, Grace and Peace). In 2009 we sent another associate, William Plott, to Madison AL to plant. Again, we tried to keep him in Cincy, but Alabama was home, and he had an opportunity he could not pass up. He has done well in Madison. In 2012, we launched two more in Cincinnati through Associate Marc Champagne (Redeemer) and Intern Chad Grindstaff (Living Hope). We had hoped to sequence them at least six months apart – both were taking NCCC families with them – but the Lord had other plans. They both launched in October of 2012. The mother church was a bit exhausted by this point, but still rejoicing at the new births. So from 2004-2013, 8 attempts, 7 churches, much praise and thanks to God. The Session was all in, and provided great leadership and support. The North Cincinnati family was wonderfully generous, gracious and enthusiastic about our multiple births over the years. We gave away a lot of good people and a lot of resources over those ten years. God had exceeded our expectations for fruit-bearing, as well as amazed us regarding our planning and His timing. We had prayed, pitched the vision, talked about church planting, and strategized from the beginning. And nothing for the first nine years – then, an explosion in the next nine. During these years I was blessed with great associates who dropped into my lap, who had the maturity, philosophy of ministry and the experience to succeed. In so many ways, we were out of (our) control and under God’s control. Lessons learned: 1. Patience and longevity pays. The cliché “don’t overestimate what you can accomplish in five years, and don’t underestimate what you can accomplish in twenty” applies. 2. Failure and conflict are (usually) necessary for success to happen. Is there a better way to grow and learn? 3. Make your plans, and watch the Lord work. “The mind of man plans his way, but the Lord directs his steps.” (Prov. 16:9) 4. “Give and it shall be given to you”(Luke 6:38). What we gave away in church planting (people, money, talent), God gave back. He replaced our losses. Sins to avoid: 1. Pride (“want to know how many…?”). 2. Ambition (“we need more – at the same rate!”) 3. Insensitivity (to the needs of the mother church). After 21 years, what I’ll miss: staff relationships, leading a team, leading the NCCC flock, the discipline of preaching. What I won’t miss: the conflicts, putting out fires, being out of ideas, the discipline of preaching. Regrets: none. I would not trade the middle years of conflict, nor the disaster of a failed church plant. They were absolutely necessary for our church, our leaders, and me, for the glory of God. It was a great run, and great fun. Thanks be to God. The Greek Evangelical Church has always been a self-supporting and indigenous denomination, virtually from its inception in the mid-1850s. So while there has never been so much of an issue of external dependency, for a very long time there has been a desperate lack of vision. This is evidenced by the fact that the number of evangelical churches in Athens has remained completely static at 5 for decades, with a 6th church being founded a few years ago largely for reasons of expediency (virtually all its members were transfers from existing churches). 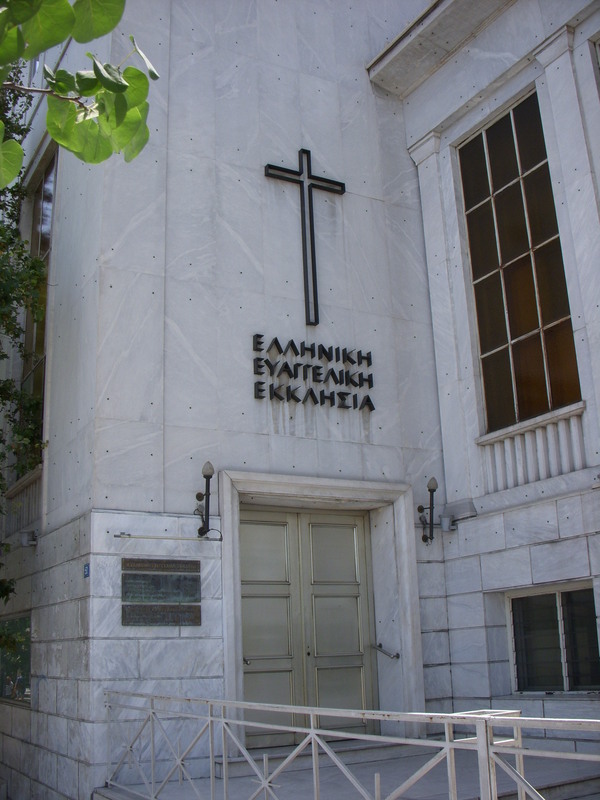 This overview comes from the perspective of the First Greek Evangelical Church of Athens (AEEE from now on), which since 2004 has been developing a vision which seeks to rectify this problem, initially within the scope of the ministry of one local church yet with the hope that others will catch the same vision. Historically-speaking, this vision had a spur, a realisation, and a decision that finally led to a conviction that has grounded everything we have done since then. The spur was the evangelistic outreach during the 2004 Olympic Games, a citywide effort, in which AEEE played a major role. As we went out into the city, however, we began to realise more and more just how insular we had become as a church and how little we had been reaching out to the city. In the aftermath of the Games, we made a decision to transform AEEE into an outward-focussed church that sought to serve and bless the city with the Gospel of Jesus Christ. Once we had arrived at this decision, it was then only a small step to arrive at our final (and now settled) conviction that the primary and normative way we wished to go about this would be by focussing our efforts on church planting. One thing that we realised quite early on was that while AEEE was already a well-established institution of 150 years which had resources and could do many things, as an institution it could never reach the whole city. In order to do so, it would need to foster a movement. Leaving behind the comfort of its traditions, the familiarity of its subculture and the safety of its four walls, it would have to send its faithful out into multiple neighbourhoods of the city, to meet the people where they were and to plant new congregations in those neighbourhoods that would consequently be better-placed to serve them and bring the Gospel directly to them in creative, spontaneous and organic ways. These new congregations would also need to be self-replicating in order to carry the vision forward and prevent it from dying out after the first generation. It was towards the end of this vision-building process that we first came into contact with representatives from (what was then) Redeemer Church Planting Center, who were able to give us further direction regarding how to go about pursuing this vision. We are delighted to be part of the Redeemer City to City global network. These four areas correspond to where we are focussing our efforts and resources as this is how we feel the work of AEEE will transformed from a few encouraging ministries to a true a city-wide movement and church planting network. 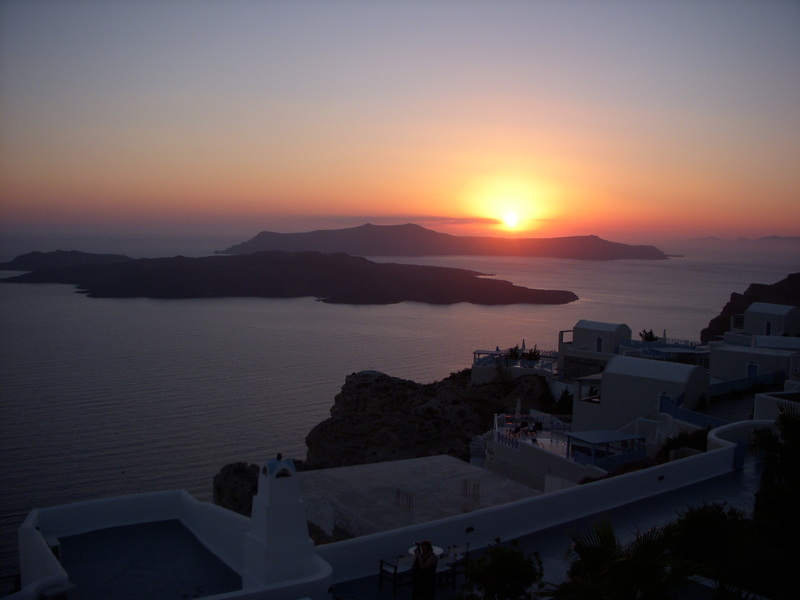 While the vision for AEEE and its ministry in Athens was initially conceived by the Pastor of AEEE, Giotis Kantartzis, he could not take it forward on his own. 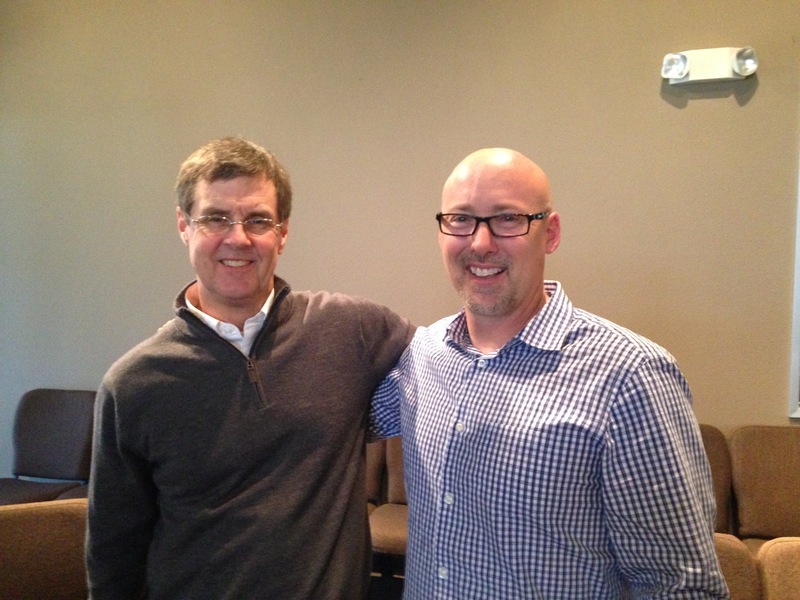 A church planting movement requires church planters — lots of them. Fortunately, during this time there was a solitary intern, Alexandros Pipilios, working alongside Giotis (in a denomination which is quite unfamiliar with the practice of hiring interns, or any other full-time staff beyond the pastor for that matter). 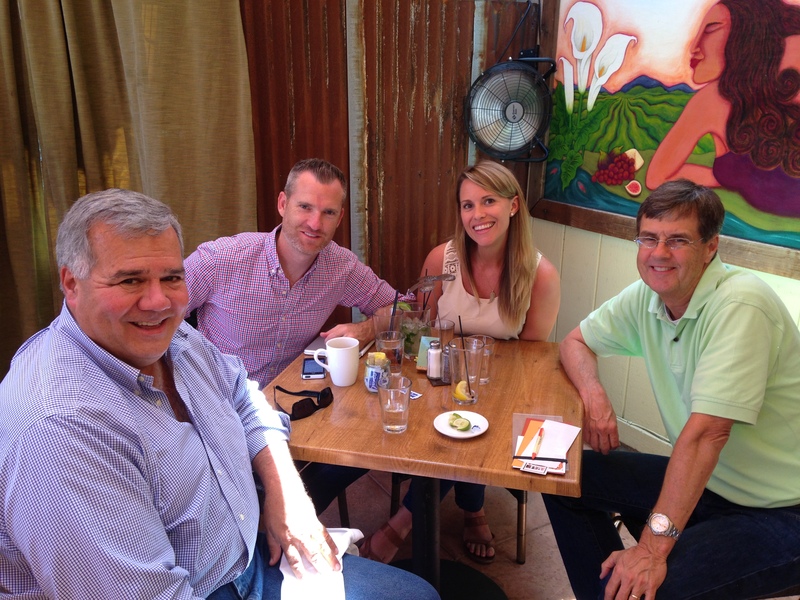 He was joined a year later by a second intern, Tim Coomar, and together they began to imbibe the vision for the city that Giotis was imparting to his congregation. 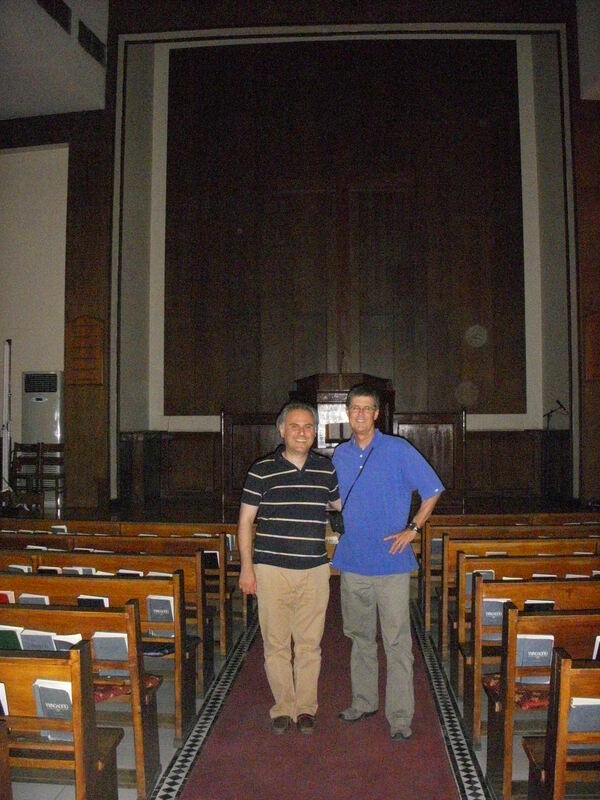 In the summer of 2008, plans for church planting began to take shape as Giotis officially invited Alexandros and Tim to participate in the vision by agreeing to plant a church together in Exarcheia, a key neighbourhood of downtown Athens (they would do this once they had returned from seminary). At the same time, he assembled a launch team for the first new congregation — a church ‘graft’ based in Glyfada, the key neighbourhood of the southern suburbs. This would be led by Giotis and some of the elders of AEEE until a suitable planter came along to relieve Giotis. 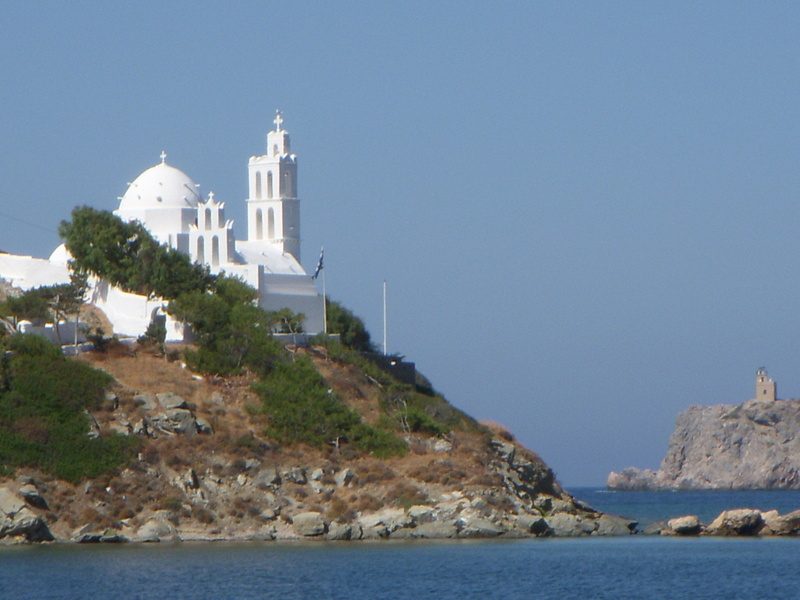 Glyfada Church was launched in September 2009 and within four years was established with a stable and growing congregation. 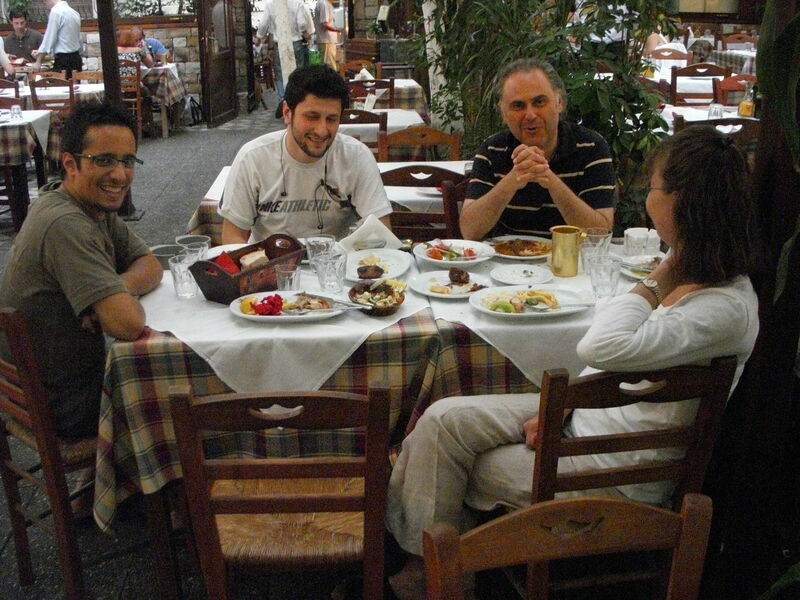 In 2009, a third intern, Giorgos Tolias, had joined AEEE and when he returned from seminary in the summer of 2013, he and his wife and baby daughter relocated to Glyfada in order to take over from Giotis. In the two years he has been there, Glyfada has grown rapidly, with a weekly attendance reaching 80 on some Sundays (from an initial launch team of 30), it has been particularised and is now developing a vision for the southern suburbs, including tentative plans for a church plant in a nearby neighbourhood. In the past year it has also taken on two interns who are both excellent prospects as potential church planters. In the meantime, Alexandros and Tim returned from seminary in the States (all three attended Westminster Theological Seminary, PA) and in the summer of 2011 relocated with their families to Exarcheia, a neighbourhood whose significance as both a symbol and a center of culture and activism is such that it exerts a disproportionate influence on the city compared to many others. 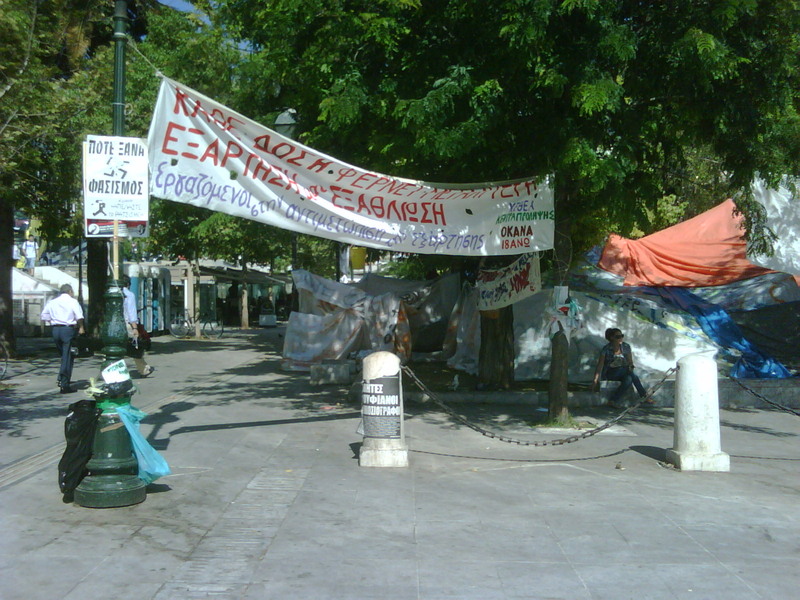 After several months of learning the neighbourhood, making contacts and training an initial core group of 12, Exarcheia Church was launched in March 2013. Exarcheia Church now has a weekly attendance that is creeping over 30 and has been accepted – and even embraced – by a neighbourhood that is widely considered to be the most godless and anti-religious in Greece. Over half of the makeup of the congregation are from non-believing or unchurched backgrounds and almost half the congregation live in the neighbourhood, with relocation in order to serve better the neighbourhood now part of the culture of the church. We are delighted that one of our initial core-group members (at the time a baby Christian) has now completed an internship at Exarcheia Church and within the next two years will head off to seminary in order to come back and plant a church. This coming year, we will have two more interns, one of whom had never attended a church before she joined us and the other a formerly dechurched believer who has really matured in the short time he has been with us. In terms of other projects, there are two potential church plants in their pre-launch / exploratory phase (in the Kypseli and Neos Kosmos neighbourhoods), one new plant launched in the suburb of Agia Paraskevi in November 2014 (led jointly by Giotis and Alexandros for now) and one revitalisation, a reboot of the AEEE Sunday evening congregation (led jointly by Tim and Giorgos). Mercy ministry has always been a part of the church’s work in a city like Athens. However, we wanted our church members to acquire a constant redemptive presence amongst the needy rather than simply turning up for a weekly ministry. Exarcheia Church is located in a neighbourhood which is already keenly attuned to the plight of the needy. As such, many of the things that a church might normally do, almost unthinkingly, like feeding the homeless, we were hesitant to do since the locals were already doing it and doing it better than we ever could. We waited and prayed for a way to be a true redemptive presence in the neighbourhood, meeting a need that no one else could. This opportunity arose through a Danish couple who were setting up an NGO to help unaccompanied minors from Afghanistan and who wanted to partner with a local church. There was nothing like this in the whole of Athens and the need was huge. We agreed to adopt the work and they moved to Exarcheia and became members of the plant. Today the NGO, ‘Faros’, has been running for over a year, is largely staffed by volunteers from Exarcheia Church and is winning plaudits from all over the city for the work it is doing amongst refugee minors. There is a further project being set up in Kypseli along the lines of vocational training. Bringing the gospel into dialogue with the wider culture is something we seek to do both organically – through the work of each local church – and more strategically, through a public-facing forum. Imago Dei is an apologetics ministry set up to engage with modern realities within art, philosophy, academia and pop culture through the use of events and online materials. 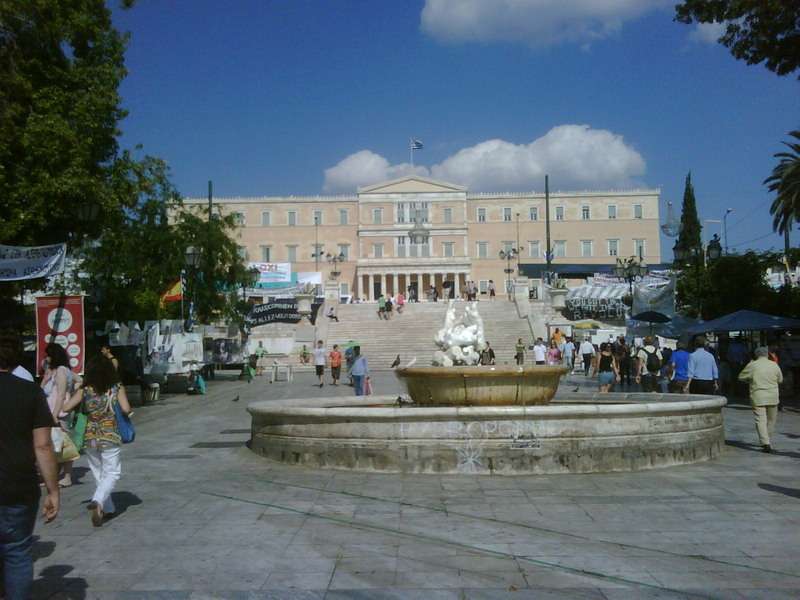 It is run by Giorgos Kalantzis, a member of AEEE and a PhD candidate in Philosophy. We know that even if we were to grow into a very large and successful church planting network, we would still never even come close to reaching the whole city. We are nurturing a culture of generosity towards other denominations such that when we find points of contact with our vision we might already be in a position to share our resources and swallow whatever pride might have prevented us from working together in the past. In January 2014 we held a one-day training event on church planting to which ministers and elders from both our denomination and others were invited. At the same time, we know that it is crucial for the longer-term viability of this vision that more and more leaders are developed. To that end, funding was secured for the first two years of an ‘incubator’ programme — basically a year-long internship that involves teaching and training in the basic principles of church planting and theology alongside a placement one of the plants. We have just finished the first year of the programme and it has largely been a great success. There are at least five more young people lined up for next year’s programme. In all these efforts, the support of AEEE has been invaluable. While the congregation does not fully understand many of the new things that are taking place, they know that what is taking place is far beyond our own capabilities and even the most skeptical are at the same time the biggest supporters of the plants in prayer. Insofar as we are able, we are reorganizing our congregations into evangelistic communities and, as such, we are aiming to make prayer one of the central and defining activities that drives our evangelism. Since evangelism is such a central part of the life of a plant, we feel all the more keenly how unsustainable true organic growth is without a supernatural work of the Holy Spirit to convert and spiritually form all the new people we are coming into contact with. Are we building a movement? Yes and no. We believe that all the work we are doing is like building a fleet of ships… a great resource, but without the Holy Spirit to come like the wind and blow, those ships will remain motionless in the water. That is why we seek first and foremost your prayers. I’m leaving today for a week long trip to Barcelona, Lisbon, and Madrid. This was a trip postponed while I was in the throes of “the discipline of unpleasant things” over the last month. Now we are fairly settled in our cozy two bedroom apartment- which by the way is remarkably pretty and quiet. We have flowering trees out all our windows, and cannot hear a sound at night. We’re starting to cook again and eat in, do laundry and keep “house,” getting back to some semblance of normalcy. We’ve been doing a good bit of babysitting for our grandchildren lately, which offsets the normalcy somewhat, just when we think we’re making progress. They are a delight, but an exhausting delight for both of us. 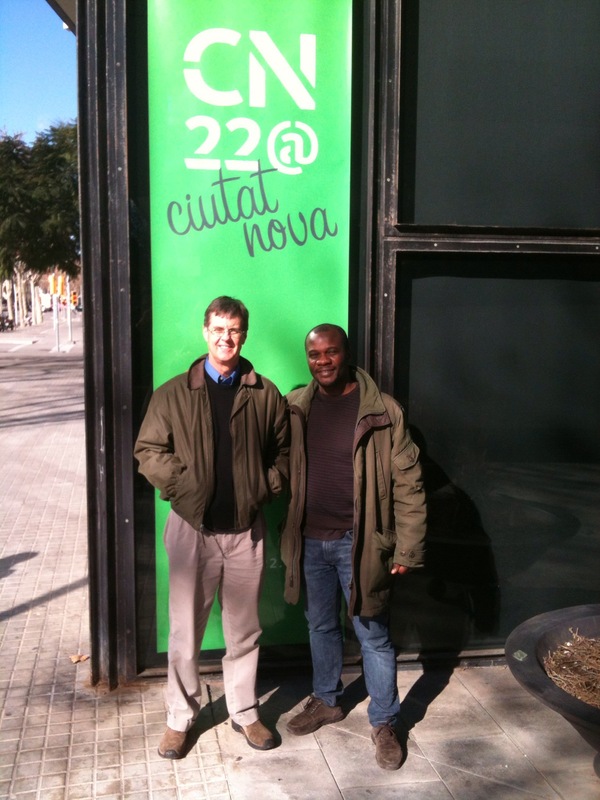 I’ll be in Barcelona over this weekend (8-10 May), observing the work of Xavi Memba (on the right below) founding pastor of Ciutat Nova 22@ (which loosely translates into New City Church, located in the lively 22@ district in the heart of the city). Now that I am full-time with City to City, and having spent nearly three years as a CTC volunteer staff, I have a greater obligation to look into all matters of church life, offer the usual encouragements, and make recommendations as I need to. I am no longer in the “check with my boss” mode of operations, having been given increased authority and responsibility as Church Planting Catalyst for Southern Europe. Xavi’s a good guy and is doing a great job, and I always look forward to visiting Barcelona, one of my favorite cities, and spending time with him. On Monday I’ll be off the Lisbon, to check on a new church plant in Bairrho Alto, a needy borough consisting of two peoples: the so-called day people, who live and work there, and the night people, young people from all over Lisbon and the surrounding country, who come to party. Bairrho Alto is THE party capitol of Portugal if not all of Europe. The challenge there is to figure out a way to minister the gospel to both groups, and establish a solid work. In addition, I will meet with several Lisbon pastors and missionaries to put the finishing touches on a conference that they will be hosting in conjunction with City to City, titled “Iberia 21,” a conference designed to equip, encourage and accelerate church planting in the Iberian peninsula. It will be held June 15-17. Finally, I get to go to Madrid for the first time, to meet some of the leading pastors and church planters there. Xavi knows many of them and will be my tour guide for Madrid. 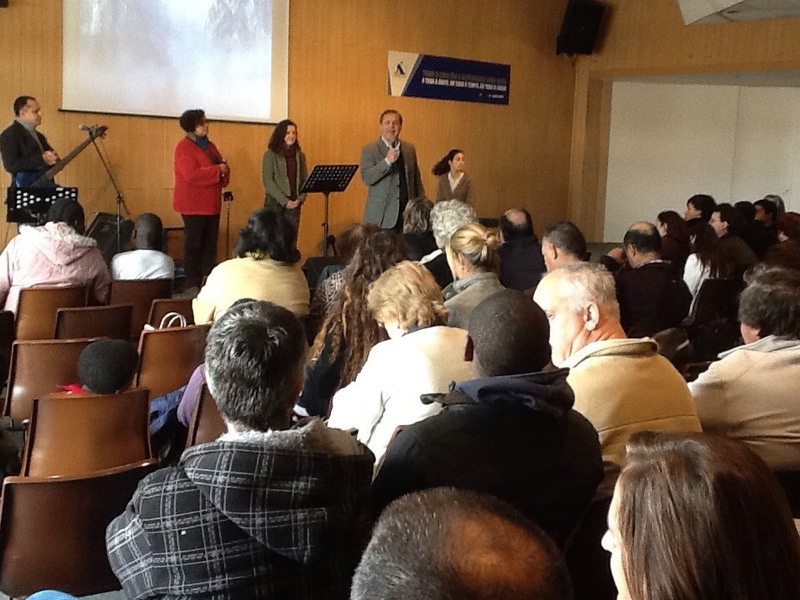 Madrid is one of our target cities, and there is church planting activity underway there. My task on this trip will be to listen, learn, and consider strategic steps forward to help facilitate a network of like-minded pastors and church planters. I’m excited for my first experience with this great city. And if things work out, I may be able to catch the second leg of the Champions League face-off between Real Madrid and Juventus in Madrid on 13 May. More on the back end. God is at work. An amazing privilege to see what’s happening in Europe. I thought I’d better get something posted before I lose my nerve. 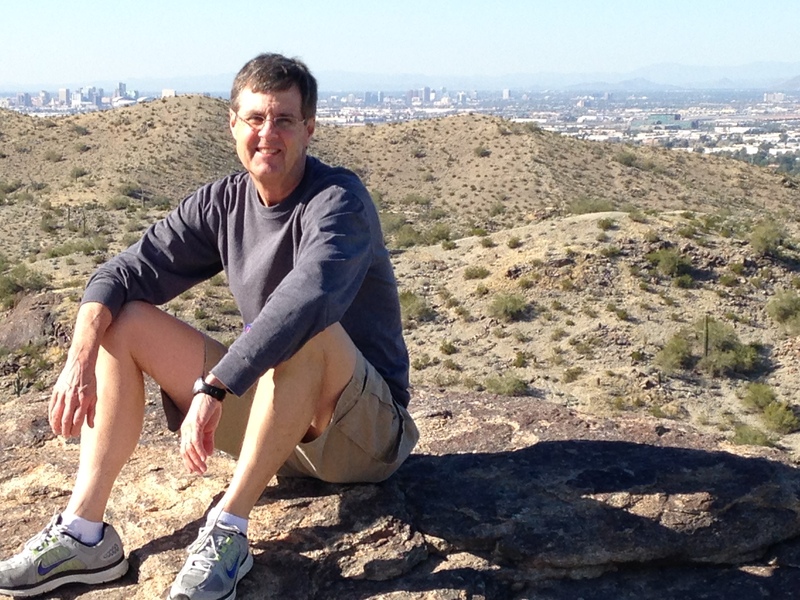 Now that I am retired from pastoral ministry and no longer engaged in regular preaching, I will try my hand at the blog. My reasons for taking this plunge are several: 1. to keep me disciplined in my reading, studying, thinking, 2. to continue some kind of teaching ministry, which I hope this blog will resemble, 3. to give reports on my new job with Redeemer City to City from the various cities I will visit, and 4. to share reflections on 21 years of pastoral ministry and current learnings from my new life with RCTC. I’ve always wanted to write more, but lacked the time and discipline. Now I have a bit more free time- it’ll come in spurts, I think- and I will need to furnish the discipline to think and write effectively. We’ll see… The mind of man plans his way…I am kind of excited about this and eager to see how He directs the shape of these woodwords. Don’t worry, these words will be my words, and I won’t attribute my bad writing and bad ideas to the Lord, but I hope and pray He provides guidance and inspiration for a useful contribution of writings over time. ( I think) I will be eager to get your feedback to what appears on these pages, so that I may continue to grow in wisdom and favor with God and man. My goal is to post once a week, and in so doing I hope to bring updates and information on my work, and stimulate reflection, thought, and love and good works toward God and our fellow pilgrims. I just completed a week in Birmingham AL, raising support for my ministry with City To City. I agreed to raise half of my salary the first year, and they agreed to pick me up at 100% in the second and ensuing years. It is exciting to trust God in new ways. I think that’s one of the reasons I stepped away from NCCC, to be put into new situations where my faith could be challenged and strengthened. It’s not all excitement and pleasantry, as I am way out of my comfort zone in many ways. Having to trust God for our financial needs is a new challenge, but one that the Lord knew I needed. It’s been a great week. My beloved brother Billy set up several productive appointments for me, and the response was very positive. I am close to reaching my goal, and may be there, depending on the response of some of the men I talked to this week. God is faithful. My next trip to Europe will be April 8-16, to Madrid, Barcelona, Paris, and Lisbon. Thanks for reading. More to come next week.